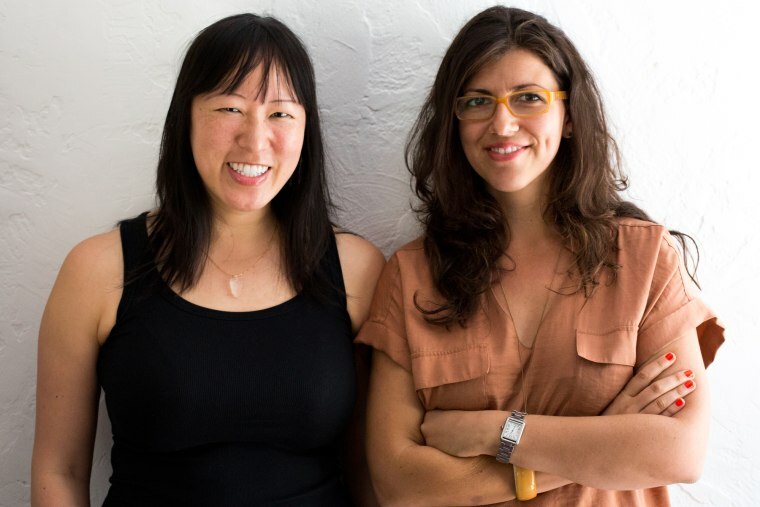 When Amy S. Choi and Rebecca Lehrer met for the first time, they immediately bonded over their first-generation American narratives and the multiracial families they were raising. But Choi, a 36-year-old Korean-American journalist, and Lehrer, a 33-year-old Salvadorian-Jewish American with over a decade-long career in media and arts, shared another commonality: they were both storytellers, and the tales they had to tell stemmed from their multi-ethnic backgrounds and experiences of living in a hyphenated America. The duo launched a Tumblr blog in October 2013, which became a full-fledged website in September 2014 called The Mash-Up Americans, a name Choi and Lehrer to describe today’s multi-ethnic, multiracial American households. The website features original content centered around family, identity, politics, culture, and food. The team also produces a weekly newsletter and a bi-weekly podcast co-produced by KPCC and American Public Media with programming ranging from a piece on Donald Trump's upbringing with his immigrant mother to interviews with community members, including comedian Margaret Cho. In an interview with NBC News, Choi and Lehrer share how The Mash-Up Americans provides an inside look into the lives of millions of hyphenated Americans. What is a "mash-up American"? Rebecca Lehrer: A mash-up is a culturally curious, cosmopolitan person who bridges cultural, racial, ethnic, generational, and religious divides. You are definitely a mash-up American" if you grew up in a culture that’s different from the one your parents are from, if you are married to someone, or partnered up with someone, from a different cultural background, or if you live in a city and are engaged with all of the different cultures surrounding you. Mash-ups are deeply rooted in our traditions and yet seek to create our own American identity. Amy S. Choi: Others may define us as “minorities;” we see ourselves as the new majority — demographically, culturally, ideologically. "We like to say we are helping America, one in-law at a time!" How did the idea for the website originate? What was the inspiration behind it? RL: After talking for years about the hilarious and awkward challenges of living a mash-up life, we realized that no one in mainstream media was reflecting our experiences. Everyone we knew was in a mash-up marriage and trying to find resources for planning a multicultural, interfaith wedding, or figuring out what languages to speak with their kids, or feeling guilty about a million different things! What is the mission of the site? What do you hope to show the world? AC: Our mission is to help Americans navigate the hybrid culture and hilarious stories of a multicultural, mixed-up, religiously-varied, richly-rooted life in the U.S., including challenges related to race, religion, identity, and culture. No one is telling the stories we are telling — about family, relationships, culture, guilt and language, among other topics — which reflect a huge shift in U.S. demographics. We like to say we are helping America, one in-law at a time! How do you aggregate or commission content for the site? AC: The stories we publish are born out of real conversations and needs between us and our friends and what we see in the broader community. We’ve grown to develop a really vibrant and passionate stable of freelancers and writers and artists who reached out to us after discovering our content through a variety of media. We love when people have the “It’s not just me!” moment while exploring our website. We don’t aggregate and republish non-original content on our site, though we do curate our newsletter and publish that round-up of headlines once a week after it’s gone out to our subscribers. What are some of your favorite articles and/or some interesting things that have come out of Mash-Up? RL: It’s hard to pick a favorite among our babies! But some of the most hilarious and heartwrenching narratives come out of our surveys, including “Guilt. We Feel It. Turns Out You Do Too” and “What Do You Spend Money on that Your Parents Never Would?” We recently published an essay, “An (Asian) American Abroad,” which talks about the comfort of blending in when you return to your “home” country, and the awkward discomfort—and joy—of realizing you’re an American, above all. There’s also a business aspect to Mash-Up Americans. Explain what you offer and how you help your clients. "We love when people have the 'It’s not just me!' moment while exploring our website." RL: Demographically, "mash-ups" reflect the future (and frankly, the present) of America. Yet companies from entertainment to consumer packaged goods have no idea how to reach this audience authentically. It often feels so one-noted. We work with companies to help them understand, through our research, what "mash-ups" care about and where the universal stories are within each of our very specific experiences. For example, this summer we hosted a hack-a-thon to explore some of the issues that mash-ups face around money, and starting in Q1 of 2016, we will launch an interactive insights experience—our approach to turning the traditional corporate white paper on its head. What kind of future do you envision for Mash-Up Americans? AC: That Mash-Up Americans will become the central voice for hyphen-America. We will demonstrate that our community of richly-rooted, forward-looking, open-minded individuals will be the key to bridging divides in larger American society. As "mash-ups," we already straddle multiple cultures; our perspective and lived experience will help America do the same through media, entertainment, and business. Our goal is that non "mainstream" Americans will not be marginalized, but that we will lead from the margins.